All Babes Home At Last! Super Bowl Sunday was pretty super in our house as our last quadruplet Baby Charlie was released from the Sharp Mary Birch Hospital NICU and joined us at home. 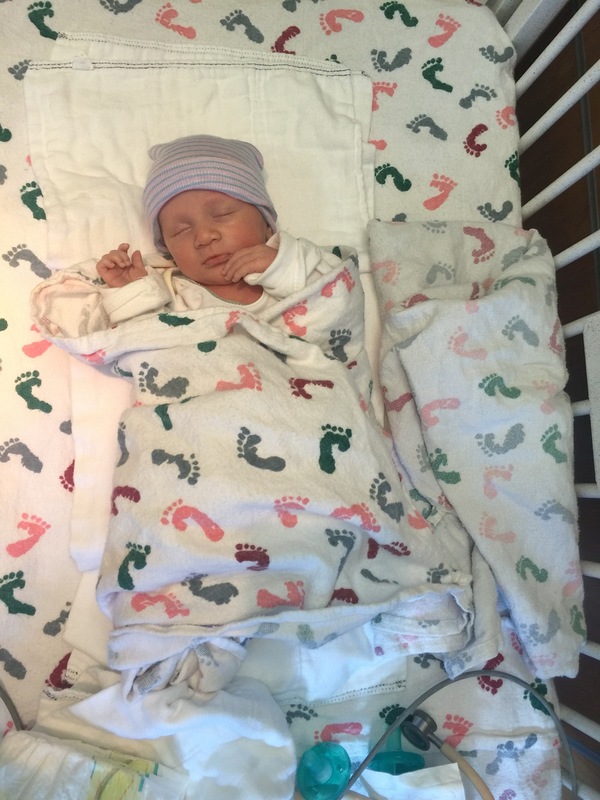 We left for the hospital with one empty car seat and returned back home with one final, beautiful baby! 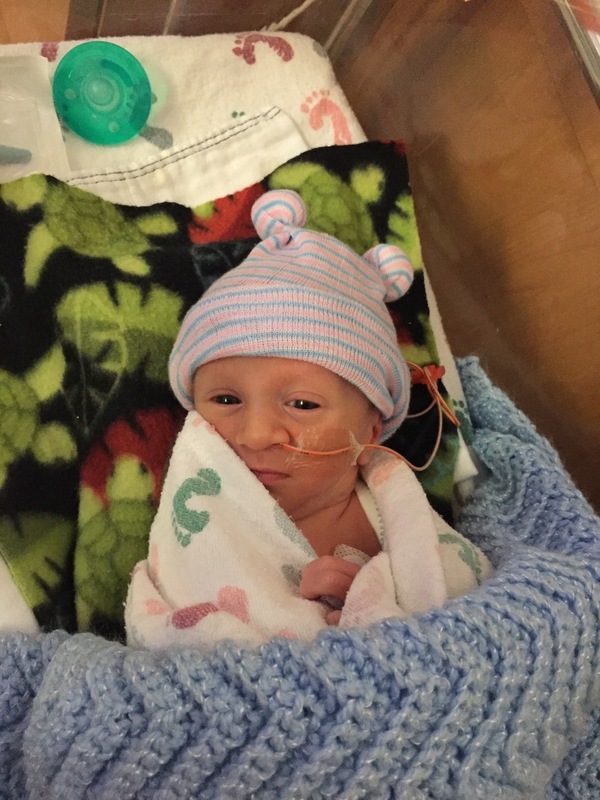 Charlie came home on February 7, which was one month exactly since they were born on January 7, 2016. If you ask Charlie and me, we never thought in our wildest imagination that we would have 4 healthy little babies in our care, at home, just one month after they were born! 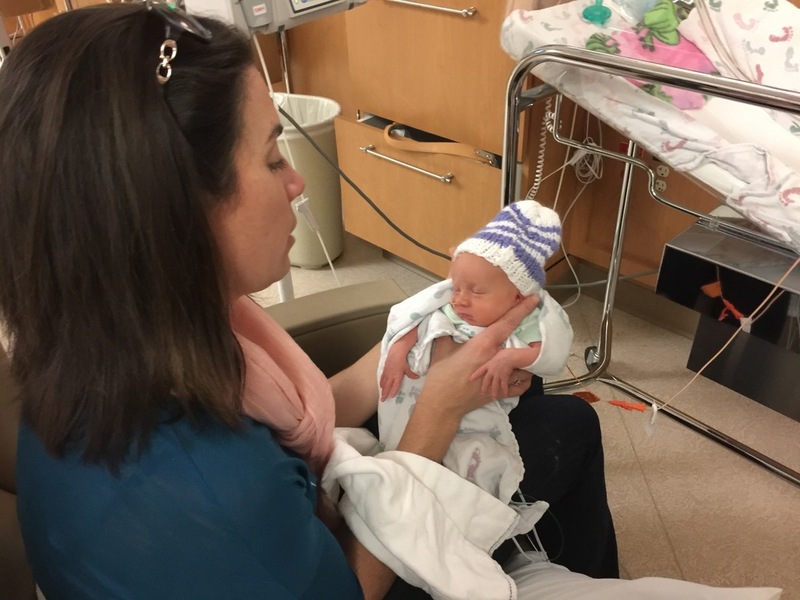 It was pretty emotional bringing that last baby home: we were sad to leave all of the wonderful staff at the NICU we had gotten to know so well over the past few weeks, but we were also so excited to have everyone in one place again. Once we arrived home, Charlie got settled in pretty quickly and joined his siblings in what they do best: sleeping. 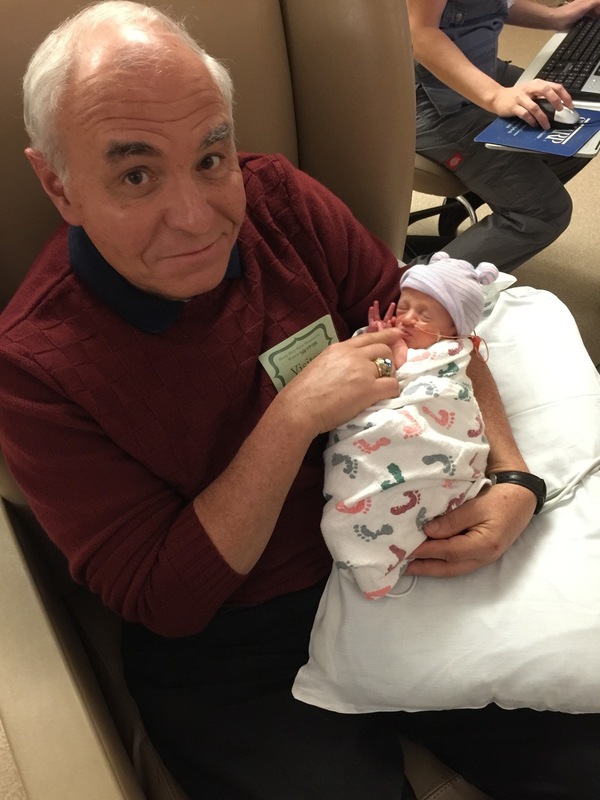 When the babies were awake this week, they've had lots of excitement getting to meet Charlie's dad Grandad Pete, getting ogled by our amazing neighbors and spending a lot of time just downright being doted on! We also had some unexpected visitors this week, in the form of four adorable storks! Lisa, the owner of a local company called The Daily Stork surprised us with four birth announcement birdies in our yard. Our local Fox affiliate came to cover the quads' homecoming and the surprise storks. 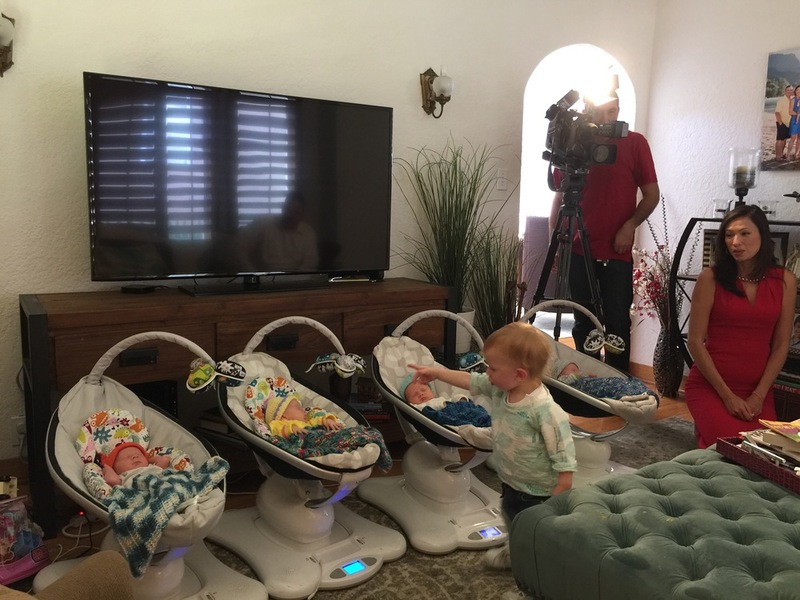 You can catch the Fox5 San Diego Quadruplets' Homecoming segment story here. 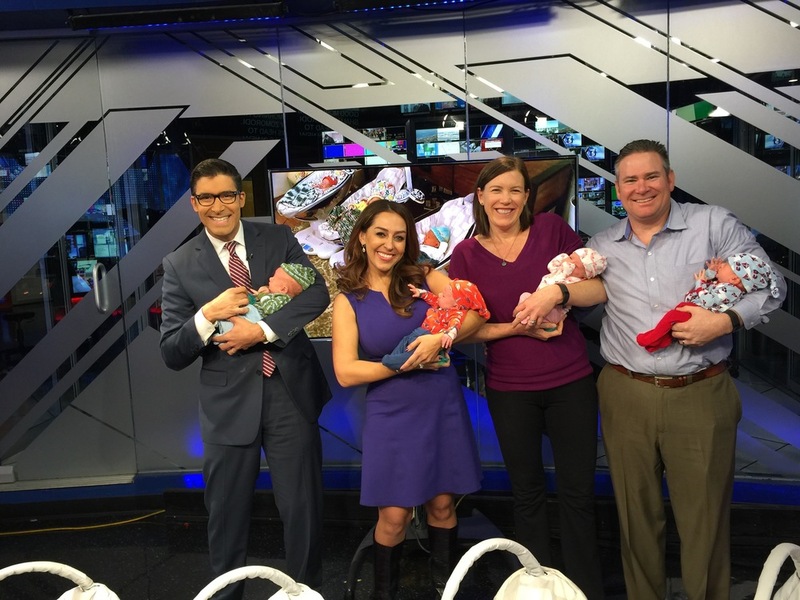 On Tuesday, the quads got invited back on Fox5 San Diego to appear in studio. The entire staff of the station was so welcoming and we even recruited some perfect strangers to help feed the babies before they went on air. After the news experience and since we were already out, we took all 4 babies to the doctor's office for Claire and Charlie's initial appointment and Dillon's one week post-discharge weight check. 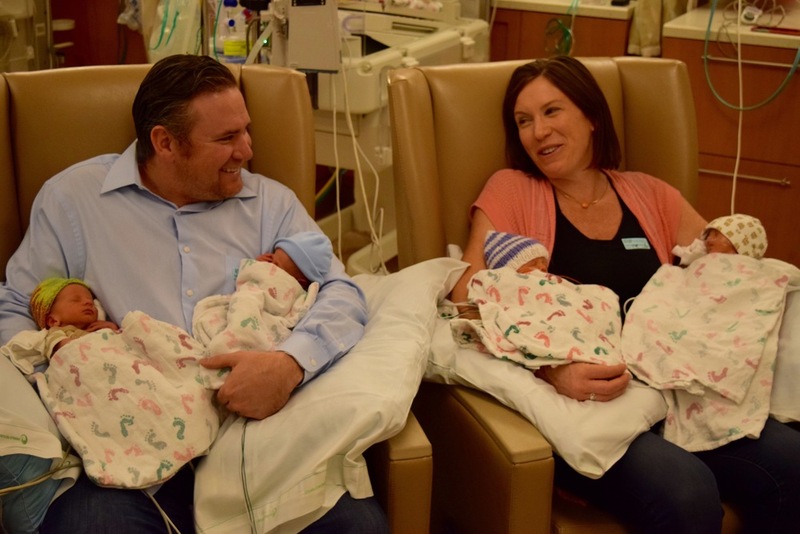 Technically we may have only had an appointment for one baby, but our pediatrician was kind enough to see all 4....even though it took about 2 hours to get through them all and to confirm that we are doing an ok job as parents keeping these littles alive! Henry: 6 lb 3 oz and we forgot to measure him...sorry Henry! Our other big accomplishment this week was figuring out how to get all of the babies out and about. We have a rental van for a few months until the van we ordered is ready. It's quite a site to see us loading in and out 5 car seats. It's also a little nerve-wracking driving around with the babies, since they're all still quite small and the car seats seem to swallow them up! 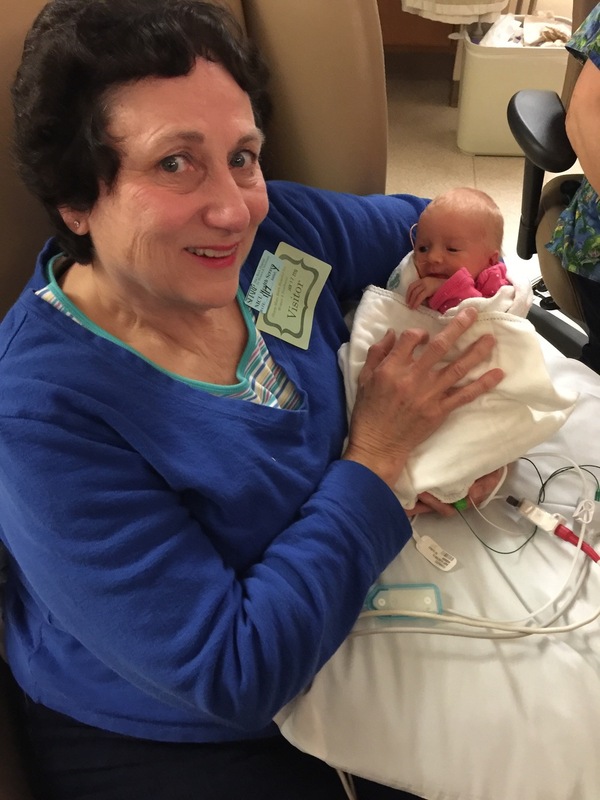 Leaving Molly alone in between two newborn babies is also something we try to avoid when possible. Our last big accomplishment in the past few days was taking all the kiddos to lunch one day. I'm trying to take advantage of this "quiet period" where the babies just pretty much eat and sleep which translates to their behaving in public. Tia Carmelita who helps us out a few days a week and Molly and I all managed to get fish tacos yesterday. That may sound like a routine event, but it was actually quite a logistical accomplishment...although one that we probably won't be undertaking on a daily basis if possible!